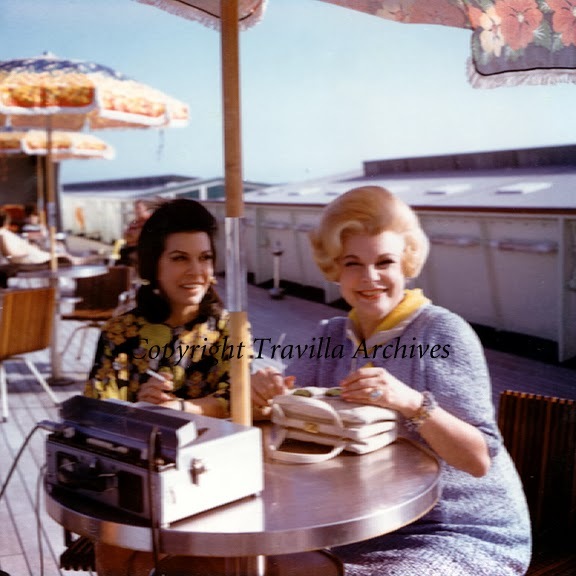 Valley of the Dolls has the distinction of having the "World's Longest Movie Premiere," lasting twenty-eight days aboard the Princess Italia during it's maiden voyage - traveling from Venice Italy to Southern California. 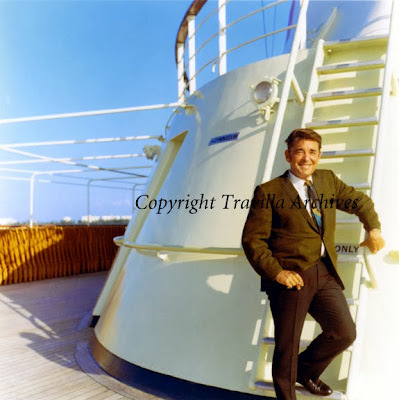 Members of the press reported on the six premieres for local media and dignitaries at stops on the voyage including The Canary Islands, Miami Florida, Nassau Bahamas, Kingston Jamaica, Columbia, through the Panama Canal to Acapulco Mexico before heading to Los Angeles. 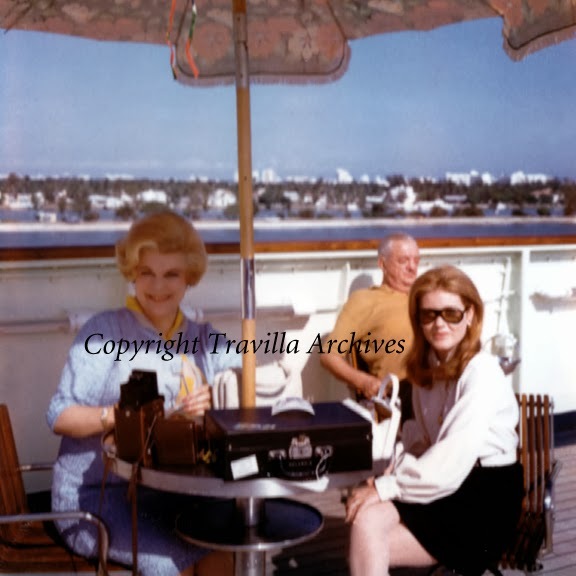 A television special, Valley of the Dolls: A World Premiere Voyage, was produced to promote the film, but it seemed more like a cheesy travelogue spending more time on the exotic locations and shipboard amenities than actually interviewing the stars of the film. Travilla is featured for just a few minutes being interviewed about his designs, though he is also seen in several other bits of the program. 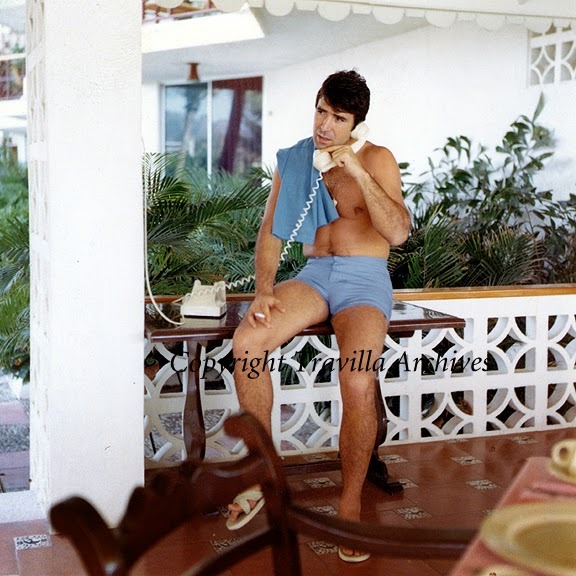 In one, he is shown wiping off the lens of his camera. Most probably the same camera with which he took these photos on the Acapulco to Los Angeles segment of the cruise. 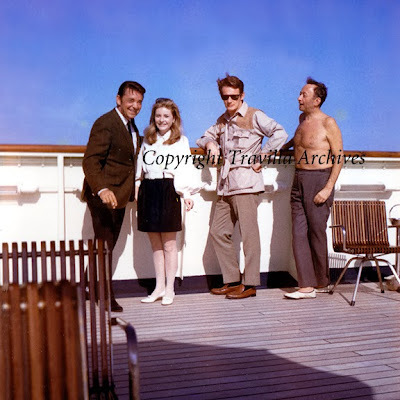 Travillia poses with actress Patty Duke, Miss Duke's husband, and unidentified man. 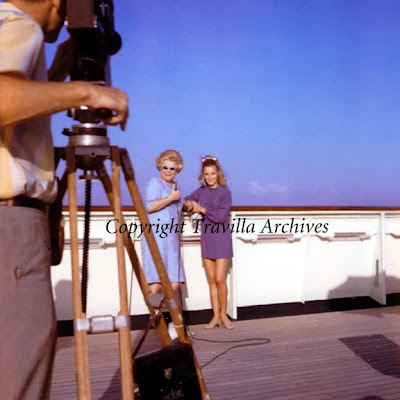 Patty Duke an husband watch as Virginia Graham is filmed interviewing Sharon Tate. 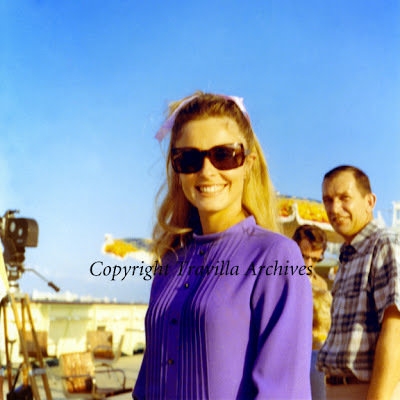 Casual shot of Sharon Tate taken by Travilla. Actor Tony Conti on phone. 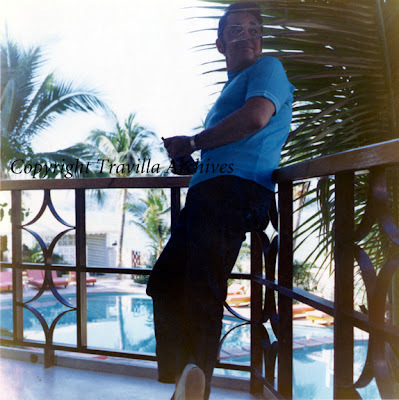 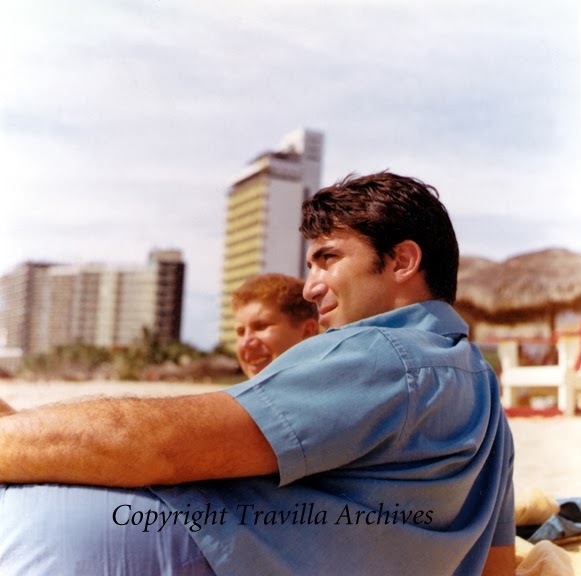 Actor Tony Conti relaxing on beach.